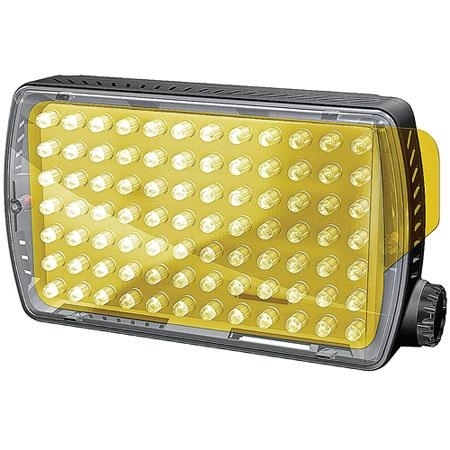 Manfrotto ML840H Maxima-84 is the top of the line in the 'on camera' LED panels range. It is an 84 LED panel with high quality output, 6000deg.K sunlight. 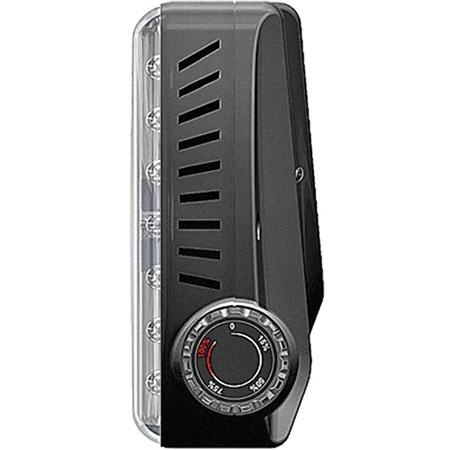 This is an evolved and performing light to be mounted on your video SLR camera. It's tailor-made for the new hybrid SLR cameras thanks to the quality of the beam and introduces the hybrid function, switching from a continuous beam to a flash with 4X output compared to the continuous output. In this way your LED panel can provide a continuous light when shooting video but adds also the flash capability for switching to the photo mode. 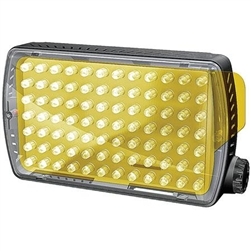 The light has a lithium built-in rechargeable battery. 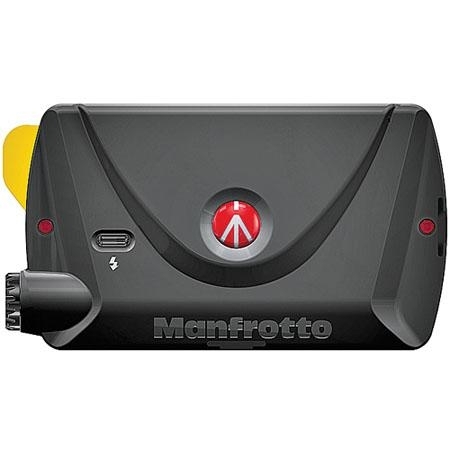 It comes with a ball head mount developed by Manfrotto that allows you to attach the light either on the hot shoe of your camera, on a photo head (3/8'' threading), on a light stand (3/8'' threading).